NAFSA Association of International Educators is the world’s largest non-profit association dedicated to international education and exchange. NAFSA’s 10,000 members are located at more than 3,500 institutions worldwide, in over 150 countries.Explore the history of NAFSA, from the organization’s founding 1948 to its role today as the world’s leading voice for international education and exchange. NAFSA membership provides unmatched access to best-in-class programs, information, and resources. NAFSA members gain unrivalled opportunities to partner with experienced leaders and colleagues within international education. 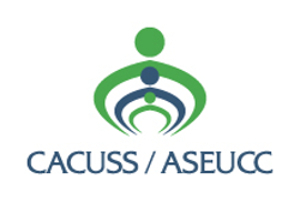 While it has existed in its present form since 1971, the origins of this association derive from the University Advisory Services (1946) and, more recently, the University Counselling and Placement Association (UCPA) and the Canadian Association of University Student Personnel Services (CAUSPS).